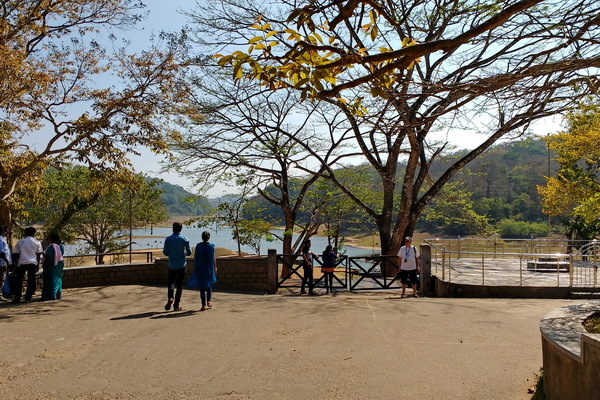 We had visited three other, superb, national parks whilst on our four week India tour but we could not resist dropping in to one other, Periyar Park in Kerala. We had arranged for a boat trip and, I have to admit, our expectations were fairly low, so I am delighted to say the visit was excellent and so much better than we expected. In fact, we spent a magical few hours watching a great range of wildlife, birds and mammals, from the comfort of the boat. The animals seemed completely undisturbed by the launches as, I assume, they had become completely used to them. The first thing we had to contend with was the queue to get to the boats. In the UK we tend to queue politely in line, being very fair. In Italy there tends to be a huddle around the target point. In India it is more of a mad scramble but the best advice is to stay calm and not get involved. If you have tickets you will get on the boat. The crew on the boat were very friendly and courteous and helped us on board and to get seated. Scattered amongst the passengers were a number of wildlife spotters who were amazing at seeing the animals, always pointing them out before we had seen them, despite our best efforts with binoculars. 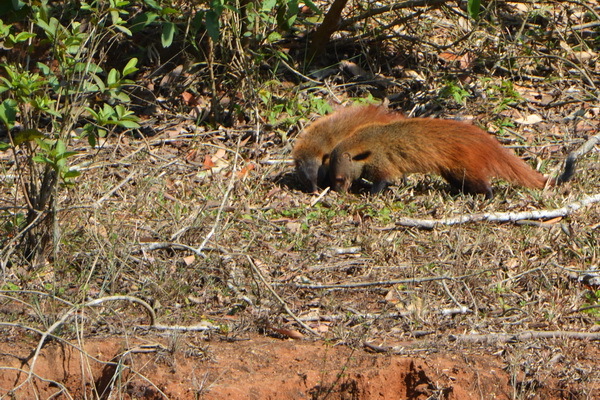 The boat trip was fantastic from start to finish with some really beautiful animal sightings. 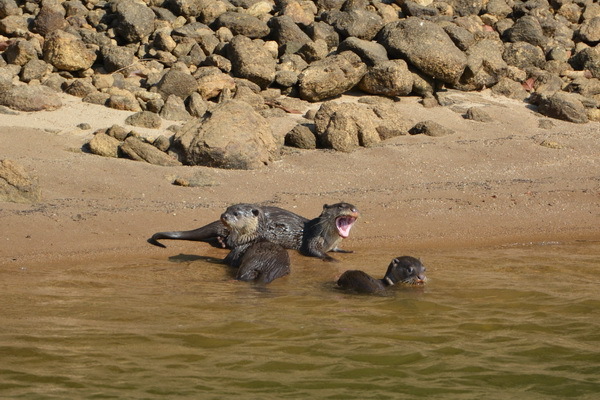 The family of otters at play was a real highlight as were the elephants cooling themselves at the edge of the reservoir. 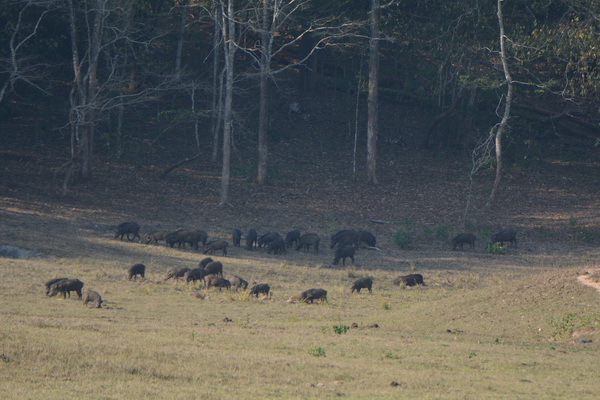 We saw large groups of Gaur (wild cattle) as well as wild boar and samba deer. The bird life was also spectacular. The park offers walking treks which I have not experienced but are highly rated. I am keen to try one on a future trip as the walks I have experienced in African parks have been fantastic, as you are able to really get a feel for the bush and see, hear, and smell so much more. 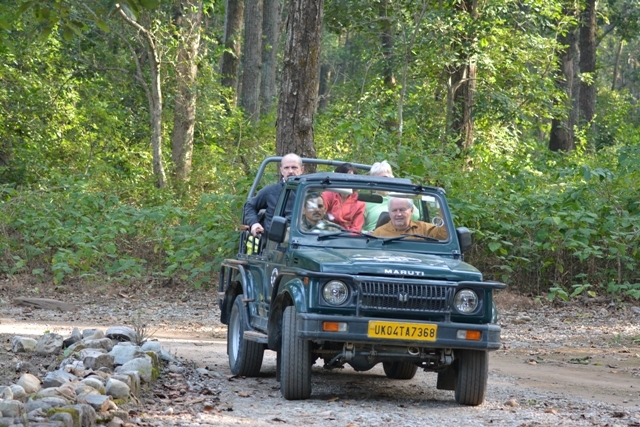 Interested in visiting have a look at our guide on Indian national parks. This post is a follow up to one I wrote in January describing my plans for this tour. Having now completed the trip, and had time to reflect on it, I am able to draw conclusions and make recommendations on planning a trip for yourselves. Overall, we had a wonderful time, enjoying a wide variety of experiences, at a very reasonable cost. It was my first visit to South India which I loved. 6 Days – Kochi Waterways Home stays. Below are some very brief highlights from our tour and I have provided links to other blogs I have written to give more details where they are available. I plan to add further links as I write up my other experiences. Delhi has a lot to offer from modern shows and markets through to ancient archaeological sites. I will provide a separate write up at a later date. A bicycle rickshaw tour of Chandni Chowk market, a bustling and historic spice market full of noise and colour and the aroma of spices. Agra and the Taj Mahal and Agra fort are, of course, world famous and wonderful. 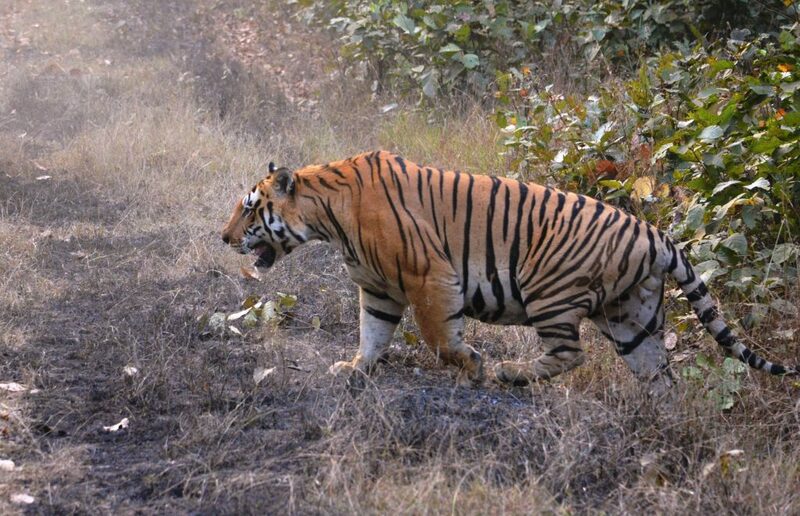 Corbett Tiger Reserve is one of India’s premier nature reserves and full of wildlife of all types. I have written a separate blog of my trip there which you can read here. In Mysore we were able to enjoy the spectacular Mysore palace as well as the Nandi hills. The town fruit, vegetable and flower market was a highlight also. Outside Mysore the Tipu Sultan’s summer palace and mausoleum gave a glimpse into the wealth and power of the Indian nobility of the past. 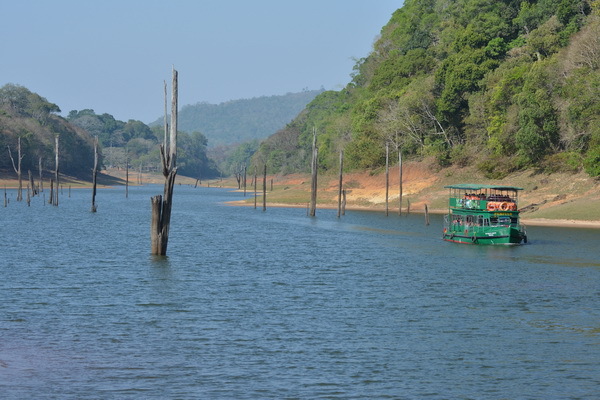 We visited three separate Tiger National parks whilst in the South, Nagerhole, Bandapur and Periyar. 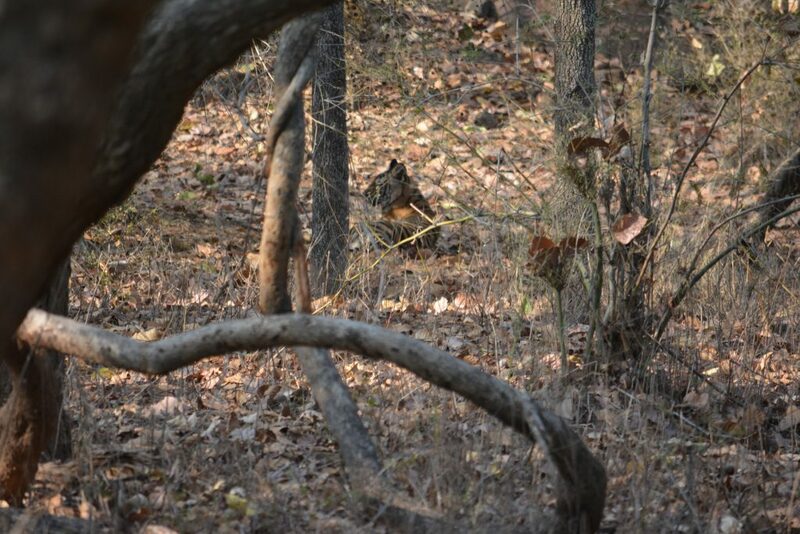 All were good but Nagarhole stood out for its wonderful sightings of tigers and leopards. 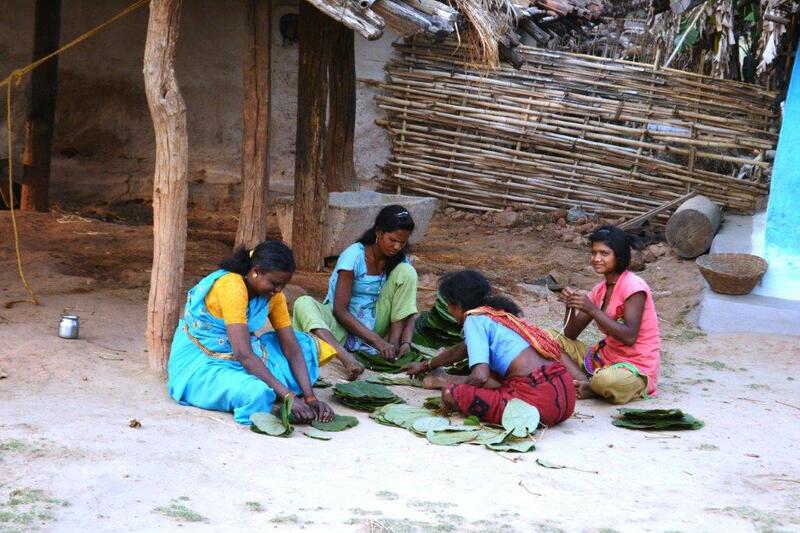 Read about the visit to Nagarhole here and Bandipur here. The time in these Indian National Parks far exceeded our expectations. It was so good to see so much wildlife. 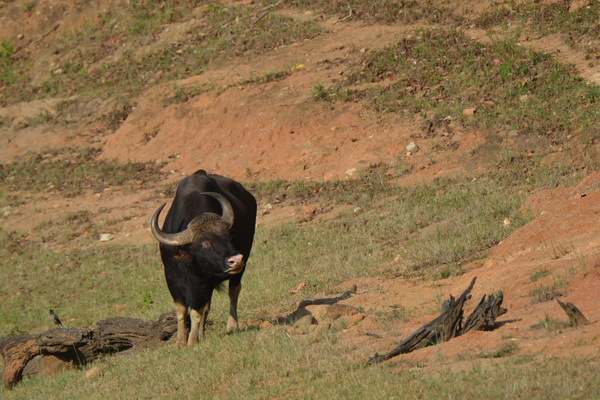 Nagarhole visit blog. We had a great time in Kerala. We stopped in Munar hill station and toured a tea plantation and museum factory. It was fascinating! Our tour of a spice plantation showed the huge range of spices as well as fruit and vegetables that can be grown here. It is really interesting to see the spices we are so familiar with actually being grown. 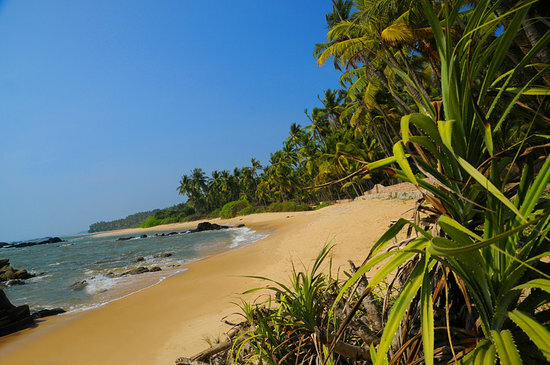 Read more about what Kerala has to offer here. At the end of our trip we stayed for a week in the Kochi area, in two separate home stays, relaxing before flying home from the city’s airport. 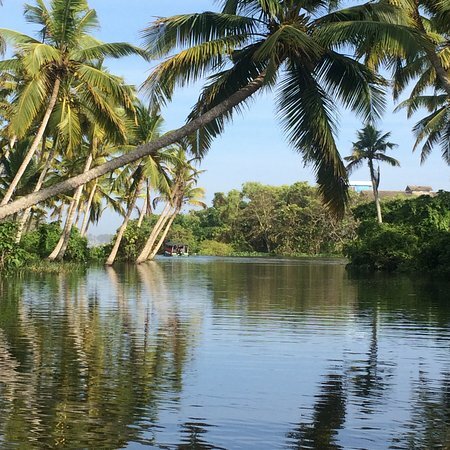 We enjoyed boat trips on the backwaters as well as tour of local crafts including the making of toddy (an alcoholic drink made from coconut sap). We even visited a toddy parlour and had a taste. The waterways are a very beautiful way to tour the local villages in the area and to view traditional farming and fishing methods. The waterways were also good for bird watching and we also saw Otters. Many of the local towns and cities have buildings that date back to the 16th century and the earliest European visitors to the subcontinent. In Fort Kochi, for example, it is possible to see the Church where Vasco De Gama was buried. 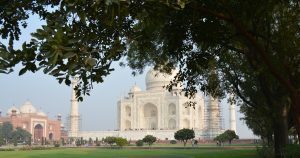 February is a great time of year to visit India. In the North, particularly in Corbett Park, the nights and mornings can be cold and foggy but the day time temperature is generally very pleasant. 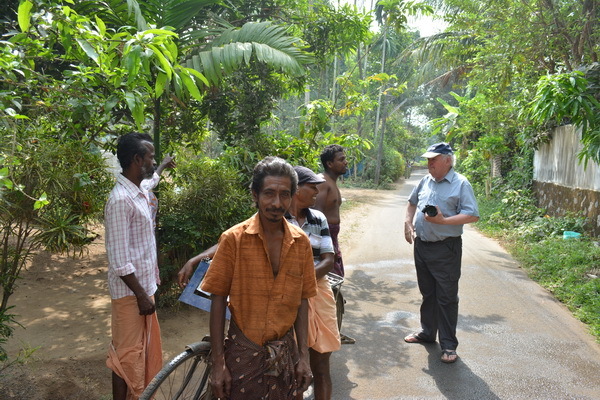 In Kerala the daytime temperatures were getting into the mid 30s C but were still manageable. If you are staying in the North you might consider coming a bit later. The length of the trip, four weeks, was very good if you can spare the time. We did so many different things that it was really many holidays within one so the whole time was enjoyable and engaging. Also the ratio between travel time and time in each location was about right. For the big transfer, from New Delhi to Bangalore, we took a flight and met our driver at the airport. Read my tips on planning your travel in India here. There is a great range of high class accommodation available. 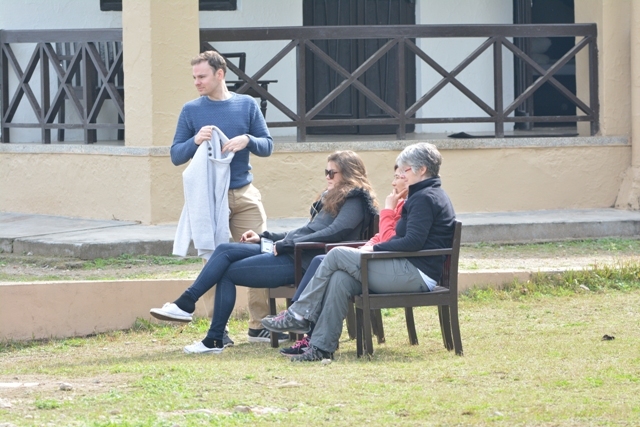 We particularly enjoyed our time in the home stays and the wildlife lodges. Read this guide for more information. 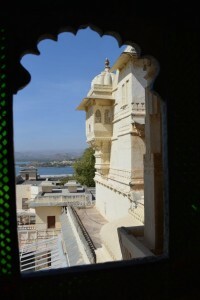 India offers a huge range of accommodation from the highest levels of luxury to more basic options. Overall, the quality you get for your money is extremely high. Here are a few notes to help you choose based on my personal experience. In the large cities we stayed in chain hotels which are of a high, international, standard but tended to lack character like similar hotels around the world. The rooms were high quality and the food provided was good, and very diverse, with international options available. The basic price for bed and breakfast is good but extras such as non-included meals, drinks and laundry tend to be expensive. A piece of advice, is to ask your driver to take you to a local restaurant for dinner which is likely to be much lower cost and more interesting than eating in the hotel. 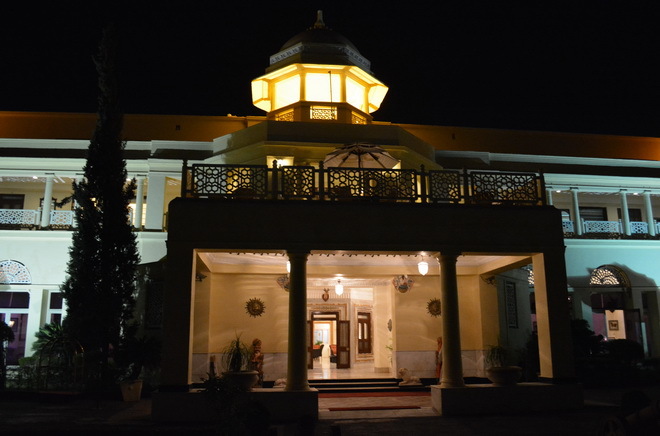 In the regional cities such as Udaipur, Agra and Jaipur there are some very pleasant more individual hotels. These will have good facilities typically including swimming pools and spas. Extras are expensive, as above. 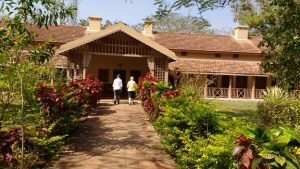 In planning my last trip I was keen to try Indian home stays and, after staying in three of them, I have to say, I was very impressed. The standard was generally very high, at a very reasonable cost, and it did allow us to get away from the international hotels, which, whilst being good, could be anywhere in the world. The environment in the home stays was very sociable with dinner being taken with other guests. Also, the host worked as a personal guide and advisor for the local area. We found there was no need to have a car and driver as our host could arrange all transport for us, in fact, in our last stay our host drove us around and guided us through Kochi at no extra cost. 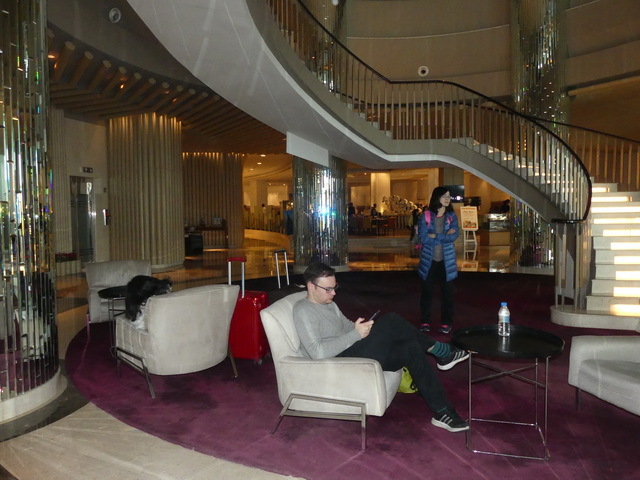 We were also taken to the airport for our flight home. The accommodation, in all cases, was set in the community so taking a walk around the houses was a great experience and a chance to see, and interact, with local people who were very friendly and pleased to see us. 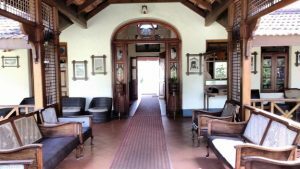 The home stays we tried were deliberately different and they ranged from basic to very luxurious but they were all good and tremendous value for money. The more basic stay had small bedrooms and no real extra facilities. The high end stay was set in beautiful grounds and had its own private swimming pool and the rooms were large and very well furnished. 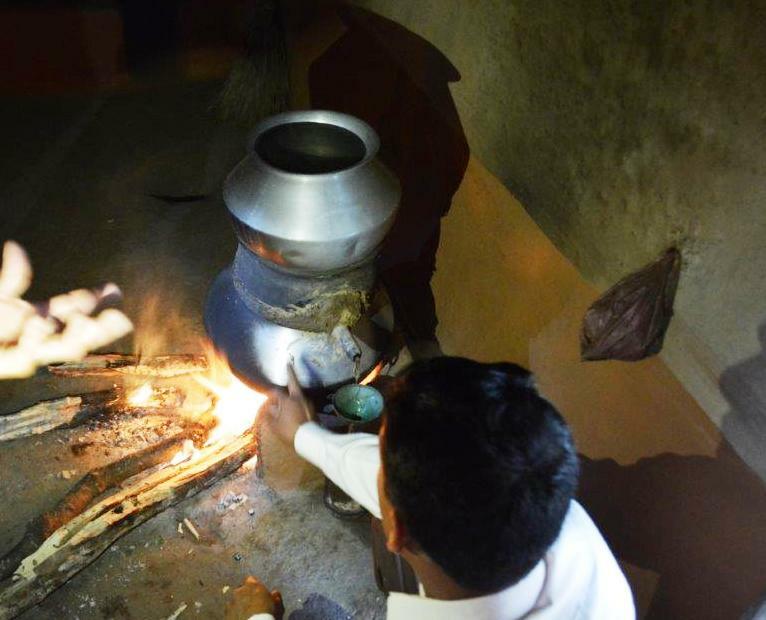 If you want to get closer to real India I suggest you include home stays to your trip. For each of the national parks, I have stayed in a specialist lodge in, or near, the park. 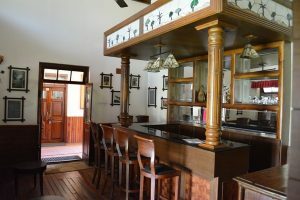 The accommodation is outside the Indian national parks, and privately run, in most cases (Bandhavgarh, Kanha, Tadoba Nagarhole and Bandipur, etc). The quality of the food and accommodation, as well as the service, is fantastic with a genuine desire from the staff to please. The accommodation is individual with its own character, without the feel of a hotel chain. All the lodges have a swimming pool and spa facilities and are set in their own grounds which you can stroll around and bird watch. Corbett Park is the exception, as it has government run accommodation within the park and this is much more basic, but adequate, but the big advantage is you are staying in the core of the park and your wildlife viewing starts even before you set off for the game drive. For me, the trade off is worth it. See my visit blogs on the national parks, under wildlife category below, for more details. Having been to India numerous times, and been heavily involved in planning my own trips, I have used my experience to provide some guidelines on planning your itinerary and travel. India is a vast and varied county and it is easy to try and see too much and end up spoiling your trip through excessive time traveling. A good guideline is to aim to spend two or, ideally, three days in each place of interest. This will give you time to relax, enjoy, and really get to know each location without feeling you are constantly under time pressure. Building in a variety of activities also works well, for example, planning your tour so that after spending three days in national parks you go to the beach or an historical site next rather than go straight on to another national park. Try not to travel too far between each stop. Don’t be fooled by the distance between locations as average speeds may be very low. Instead use Google maps directions to provide a time estimate which I have found to be reasonably accurate. Don’t plan to travel after dark due to the hazards of animals on the road etc. You may need to have an overnight stop to break your journey up. Flight times are prone to change so it is vital that you stay in touch with your airline or travel agent. A good travel organiser will keep you informed on any changes. Security is very thorough at Indian airports which, of course, is very reassuring but you need to leave plenty of time for the checks. Fog / smog can be a problem in North India in the winter so flights may be cancelled. The baggage allowance on internal flights is only 15Kg per person so that may give you a problem if you have used your full international baggage allowance to get to India. You can pay for extra allowance in advance which is much cheaper than doing it at the gate. Also, be sure to buy the biggest cabin bag you are allowed and make use of your allowance. Note: many hold cases weigh three or four kilos so you won’t have much allowance left for your belongings. It may be worth investing in some light weight bags before your visit. These factors mean that internal flights are best only used for the long transfers. 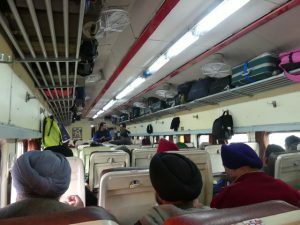 India is modernising at an astounding rate but the train service is still to be updated, having said that, it is still an option worth considering. Buy the highest class of ticket you can get and it still won’t be expensive. 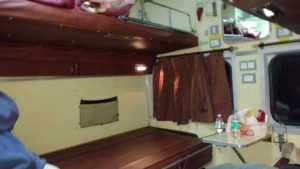 On a day journey, food and drink will be served throughout the trip and the food quality is acceptable, and safe, as long as you stick to cooked vegetarian food only. A group of four of us used the sleeper service recently and we booked the highest class, there are about eight classes in total, and it was just about alright if you are not too fussy. Four is a good number as if you book together you should all be put in the same four berth compartment. If less of you are travelling you will be sharing with other people who may come off or on at any time. We decided it would be easier to sleep in our clothes. It is not easy to know when you are getting to your station so a little tip is to use Google maps to track your progress. The trains are quite slow and the toilets are not great, especially for the ladies. It is quite interesting, though, to see the track rushing past below! The normal, and strongly recommended, option, when travelling by road in India, is to hire a car with a driver. Driving in India is very different to driving in western countries and having a driver will not add a lot to the cost of hiring the vehicle. And, to be honest, driver is a bit of a misnomer as they will give you a whole range of help from guidance and information about the area, finding suitable places to eat, helping you to shop for local delicacies or souvenirs. The driver ensures your trip goes smoothly and comfortably in all ways and you don’t have to worry at all about the itinerary or travel. Whatever your problem or need just ask your driver! You will tend to have the same driver for quite long periods so by the end of the trip you will probably be firm friends. On a recent trip, we had the same driver for over two weeks whilst we travelled through Karnataka and Kerala. He was excellent! A good agent will ensure you have a good, modern, car with functioning seat belts and air-conditioning. They will also ensure you have the name and contact details for the driver for each leg of your journey. Our group of four travelled in a six seated Toyota Innova which was very comfortable and had plenty of space for all of us and our luggage. There was also a spare seat for an official guide when we had one booked. You have probably heard scary stories about the Indian roads but I can assure you, from my experience of twenty years of travelling to India, it is getting much better. When visiting a sight an expert guide will greatly improve your experience. A good tour operator will be able to arrange a guide with the right knowledge for the sight and your particular interests. It is very important to ensure your guide is official and registered so he/she is allowed to take you into all areas of the attraction. I have heard a few stories of people hiring a guide on arrival at a tourist site only to find out later they have not been shown the main places of interest and have, therefore, had a substandard experience. You may use the services of a guide for a particular sight or to take you around all places of interest in a town or area. 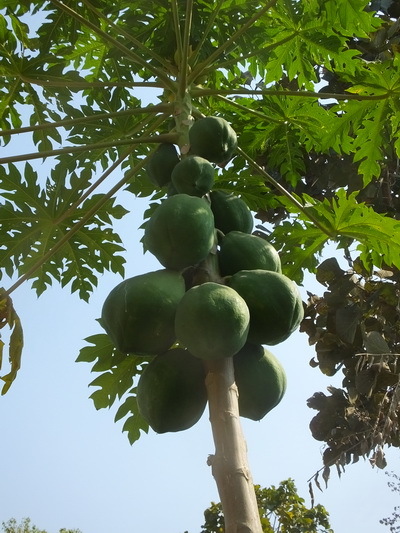 For example, on a recent trip to Mysore we had one guide who showed us around everything in the area from the Tipu Sultan’s summer palace, outside Mysore, to the Nandi Hills, Mysore Palace and the town’s fruit and vegetable market. The guides, invariably, speak good English and are very knowledgeable. Most with a degree level education. They will not add a great deal to the cost of your visit but you will get so much more from your time with their help. You can decide how much detail you want to hear and how long you want to spend somewhere but the guide will ensure you see all the best places and also help you to get the best photos. 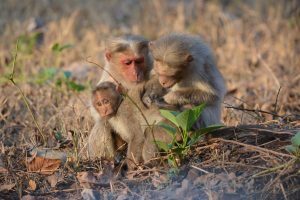 Having spent a good deal of time in the National Parks of Northern and Central India I was excited, on my last trip, to see what the parks of the South could offer. 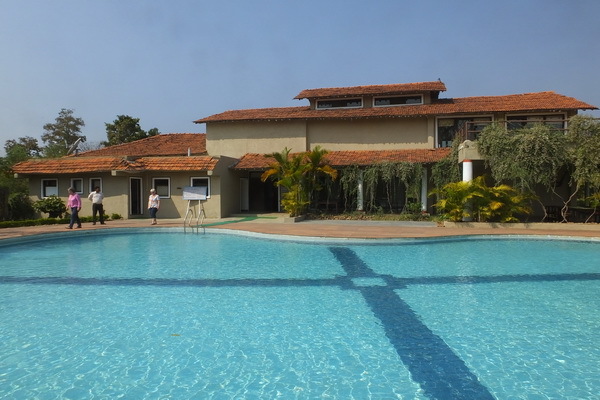 We had booked in to the first of them, Nagarhole, for three nights after sightseeing in Mysore. I am very pleased to say we were not disappointed! Situated in Karnataka, and a half day drive from Mysore, the park ranges the foothills of the Western Ghats spreading down the Brahmagiri hills and south towards Kerala state. The park covers 643 km2 (248 sq mi) located to the north-west of Bandipur National Park. The Kabini reservoir separates the two parks. The recommended accommodation is excellent and runs twice daily jeep safaris to view wildlife. 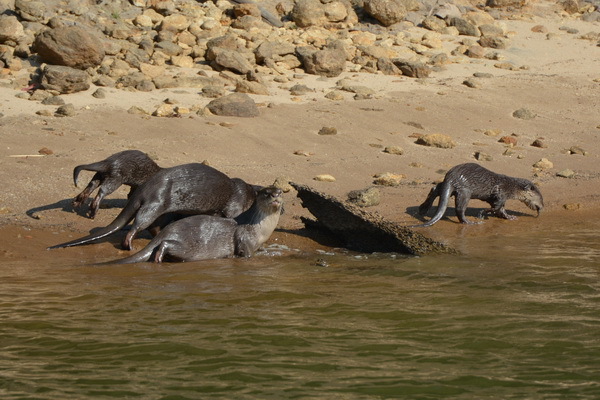 Boat safaris are also available on the Kabini Resevoir. 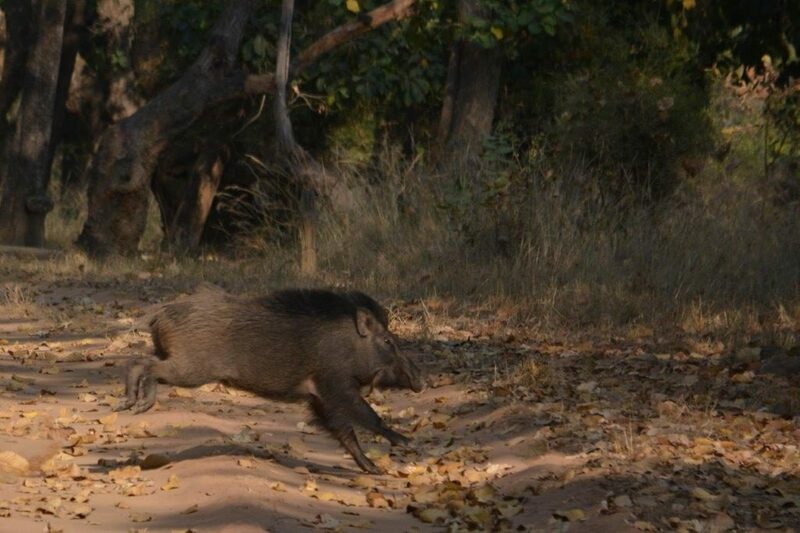 Nagarhole provided exceptional tiger and leopard sightings as well as a good range of other wildlife including elephant, giant Malibar squirrel, deer and birds. 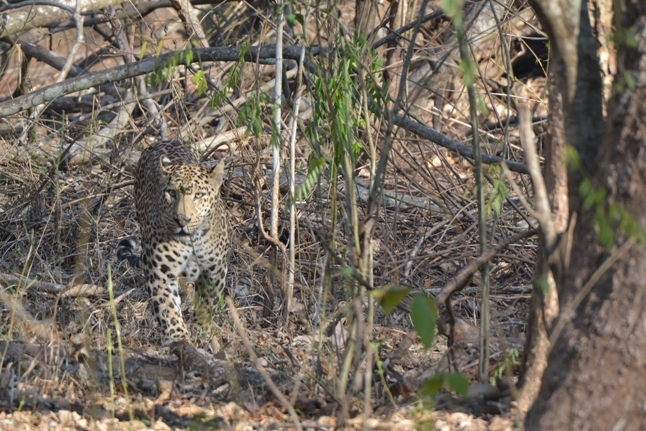 In the three days we had three leopard sightings and around six tiger sightings which was exceptional and well beyond our expectations. 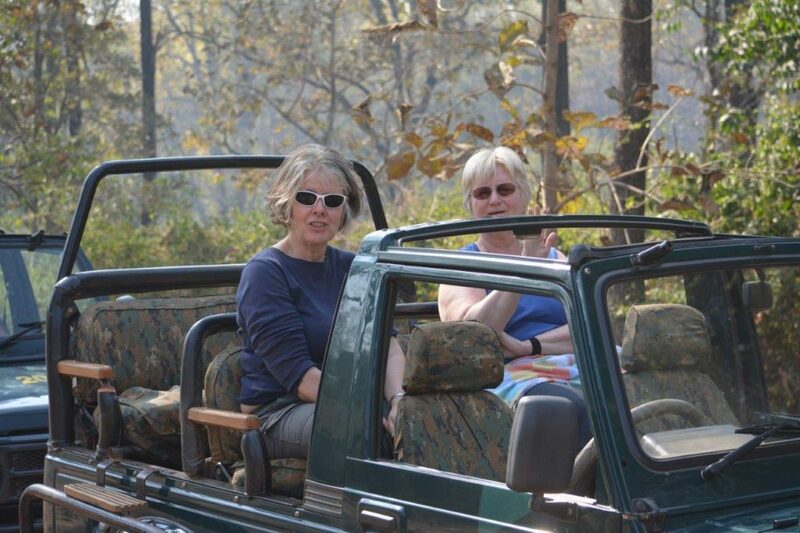 The safari vehicles are good with nine seats in three rows which offer everyone a good view. Normally there are two people on each row which offers plenty of space. 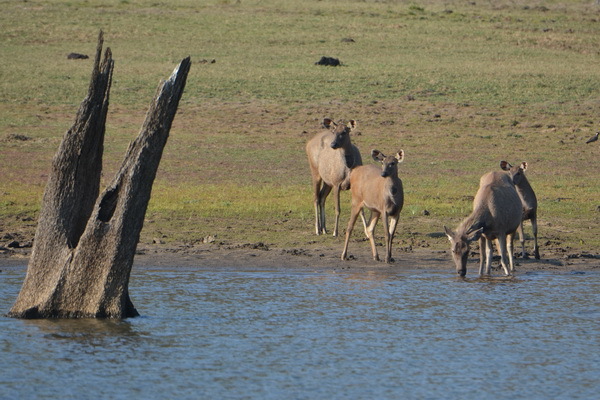 The boat trip is also worth doing and provides excellent views of birds and also elephants and other animals grazing on the grassland at the edge of the reservoir. 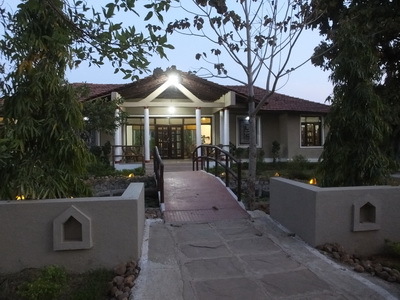 Overall, Nagarhole is highly recommended and should be included in your itinerary. It is close to Bangalore so it will tend to get very busy at weekends and during holidays so avoid these if you can. The wildlife viewing is excellent as is the accommodation. The alarm call of the Langur (Black faced monkey) is 100% accurate, according to our guide, so when we heard one we knew that a tiger or leopard was very close. The excitement and tension in our Gypsy (jeep) rose as everyone scanned in silence for the great predator to show itself. The continued barking of the alarm call was the only sound in the forest and added to the keen sense of anticipation we all felt. We did not have to wait long for the tiger to appear on the road. The excitement of seeing a tiger in the wild, especially when sitting in an open vehicle not three feet off the ground, never goes away. Our guide and driver who have made hundreds of tiger sightings were just as excited as we were. 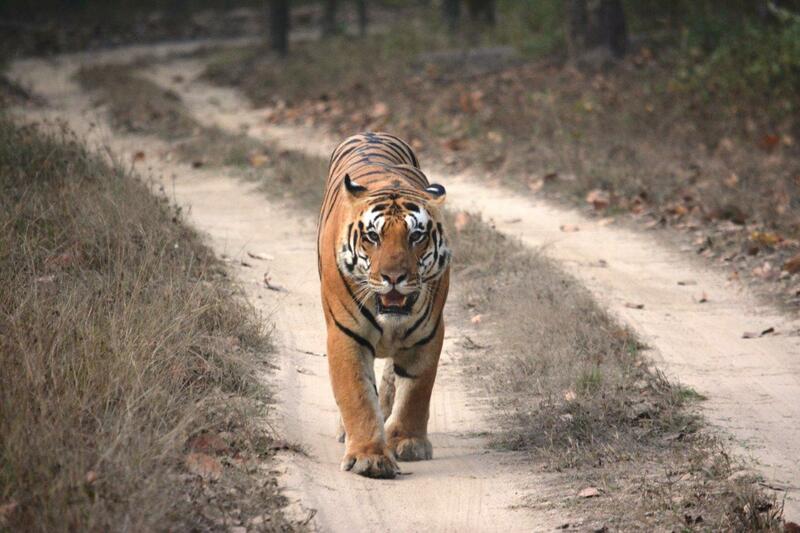 The tiger walked along the road for a period before cutting into the forest. Our guide anticipated its course and was able to position the car for another sighting on a parallel road. We managed to have a great viewing with good video and photographs which lifted all our spirits. Whilst not a knowledgeable bird watcher, I greatly enjoyed the spectacular bird life in the park. We saw, amongst other things, a changeable hawk- eagle feasting on an unfortunate jungle babbler. 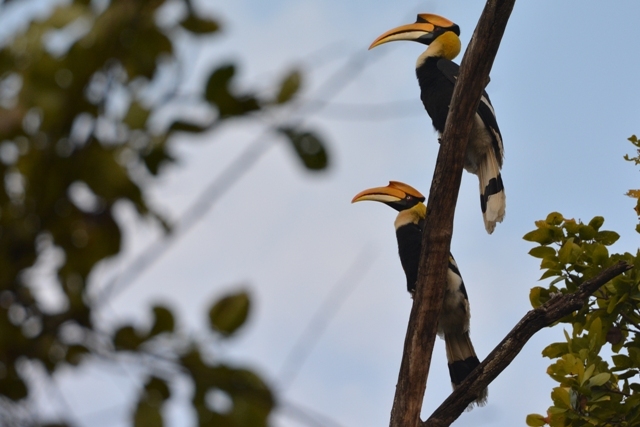 Also, when leaving the park we had a great sighting of a group of four great hornbills, a most spectacular bird. There were numerous species of kingfisher and woodpecker to enjoy, not to mention the owls. 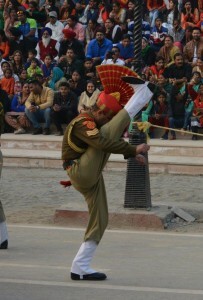 A few of the photos are included below. This place is a paradise for bird watchers. Jim Corbett National Park is a wonderful wild place and such a contrast from the hustle and bustle of New Delhi, which we had just left, a six hour drive away. My son and daughter, who had never been to India before or to a national Park, were enchanted by the place. It is India’s oldest, and one of its biggest, national parks situated in the sub-Himalayan belt. The park ranges from thick forest to open grasslands and life is sustained by the great Ramganga River that runs through it. 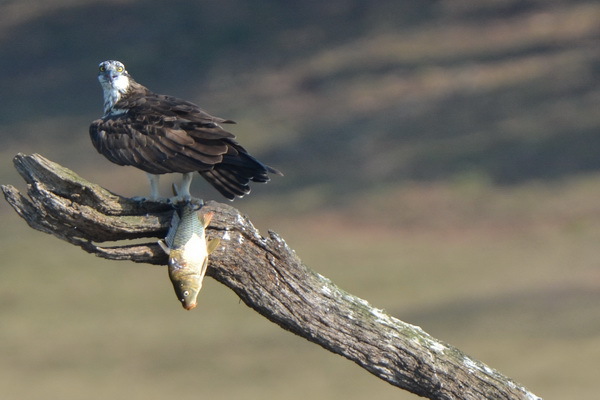 There are nearly 500 species of birds found in the park with many raptors. The mammals include Tiger, leopard, elephant, bears, otters, yellow throated martins and many deer species. Tigers are the big prize but I would advise you to enjoy all the wildlife that you see. See my blog on getting the most from your time in the park. We stayed in Dikhala camp which has the advantage of being positioned in the heart of the national park in one of the richest areas for wildlife. 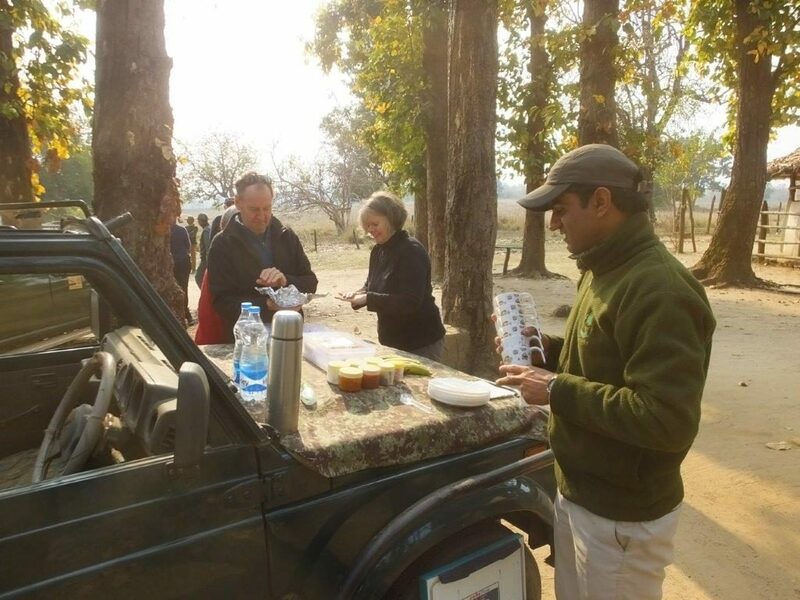 This means that from the moment you start your game drive you are likely to see wildlife, in fact, the great vantage point of the camp, overlooking the Ramganga River, allows good viewing from the camp itself. The camp is government run and quite basic, but, nonetheless perfectly adequate. The food is all vegetarian, as they do not want to attract the wrong sort of interest!, and is very good. 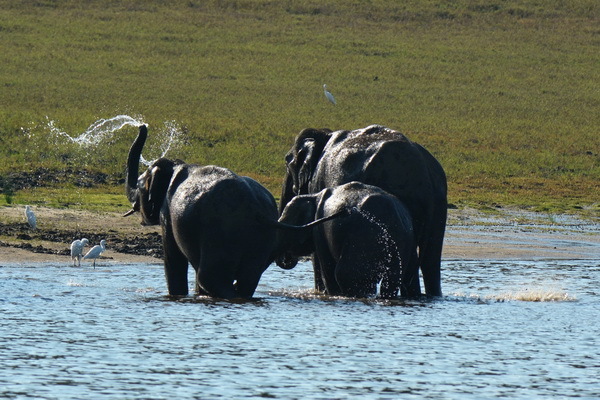 Included in our package was an afternoon and morning game drive and one elephant safari. There are many luxury lodges on the boundary of the park that also offer the opportunity for great wildlife sightings with a drive in through the gates twice a day. We had a total of three good tiger sightings in our three days in the park, a tremendous success rate but not as good as one person we met who saw five tigers in one afternoon!! On one occasion we were watching, and filming, a couple of peacocks in the road when we heard a cheetal (spotted deer) alarm call. 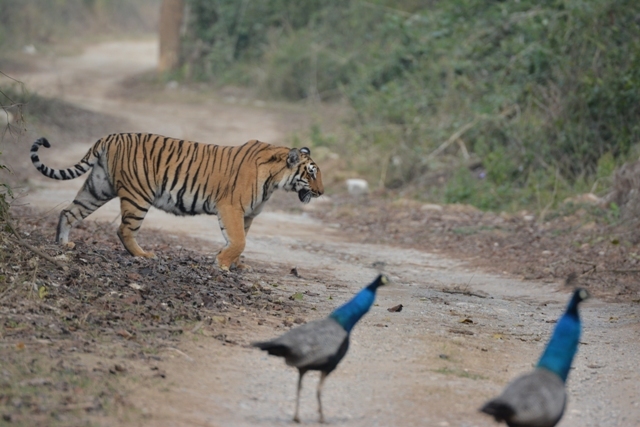 Shortly afterwards, the tiger appeared very close to the two peacocks, who were unmoved. 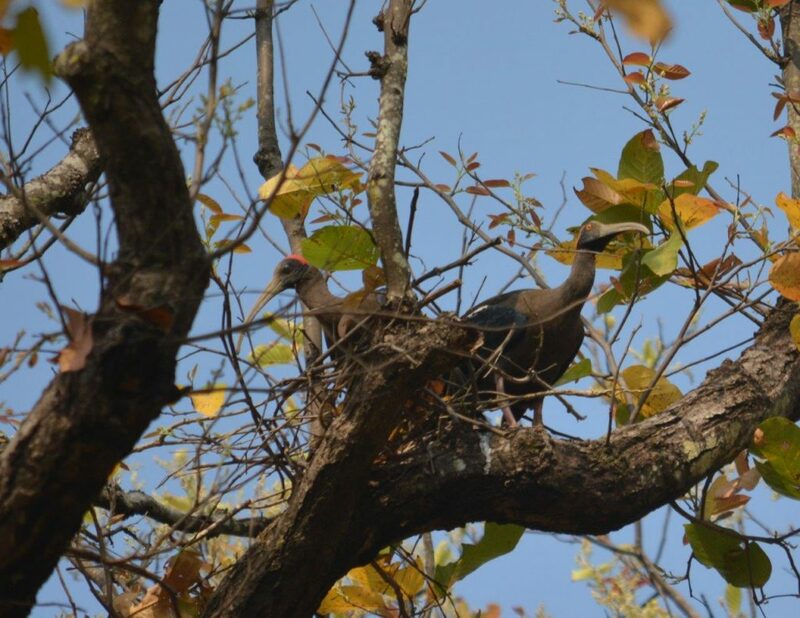 We were able to see India’s national mammal and its national bird together! The final sighting was on our last morning as we were making our way to the gate to leave. We stopped at a viewing point where we alighted from our vehicles. The call “tiger” went up from one of the guides and, sure enough, there was a tiger walking down to the river’s edge in the distance. We were able to use our binoculars and long lenses to view the large male wade the river and disappear into the forest on the other sid,. 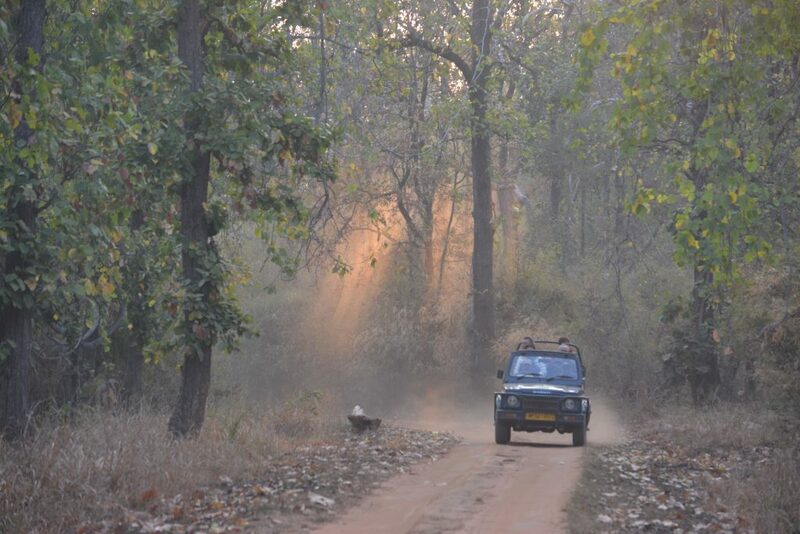 a wonderful way to end our trip to Corbett. I had visited Corbett National park previously in 2006 and, in my opinion, it has improved significantly in the last ten years. Our wildlife sightings were much better on this occasion and also the integrity of the parks boundaries have been improved. 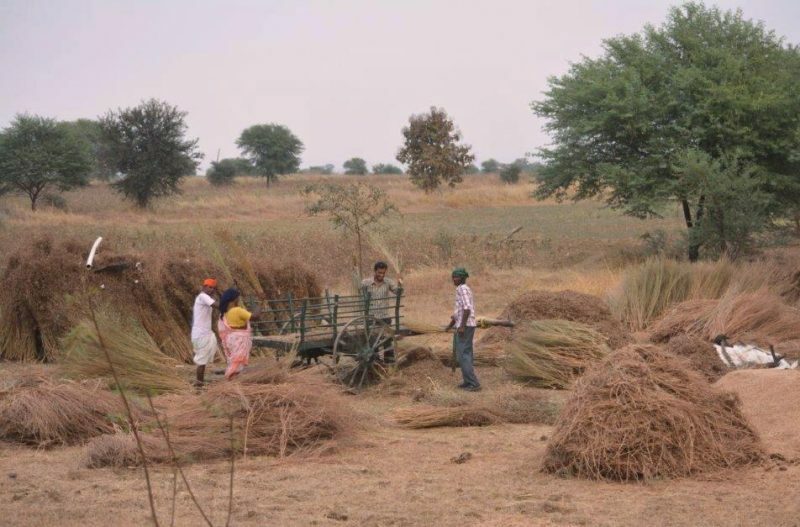 In 2006 there were many people in the park harvesting leaves and other vegetation for their livestock. This has been stopped. The official count seems to bear this out as the number of tigers in the park have steadily increased and now stand at around 240. This is wonderful news, particularly when you consider the numbers were as low as 40 in the 1970s. February is a good time to go to the park although it can be very cold, particularly in the mornings, so take plenty of warm clothes. We were told that in April and May, the summer, there can be very good sightings of tigers in the water which they love in hot weather. 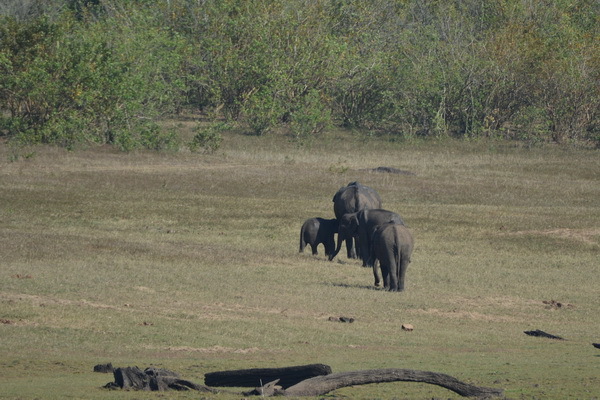 Also a lot of the elephant population migrates to other areas in the winter and returns in the summer. Temperatures in the summer can hit 40C though. An underrated aspect of a visit to India is the opportunity to tour rural areas and witness traditional dress, farming methods and lifestyles. On a visit last year I had the chance to include this in my itinerary. Driving through the country is fascinating as there is so much to see. You can witness people going about their lives as you pass through villages and farming communities. So much of life seems to go on outdoors. India is one of the fastest growing economies in the world so it is changing very fast and agriculture and rural life is sure to be modernised and many sights and experiences will disappear soon. For this reason, I would urge you to try and experience what you can of it if you travel to India. 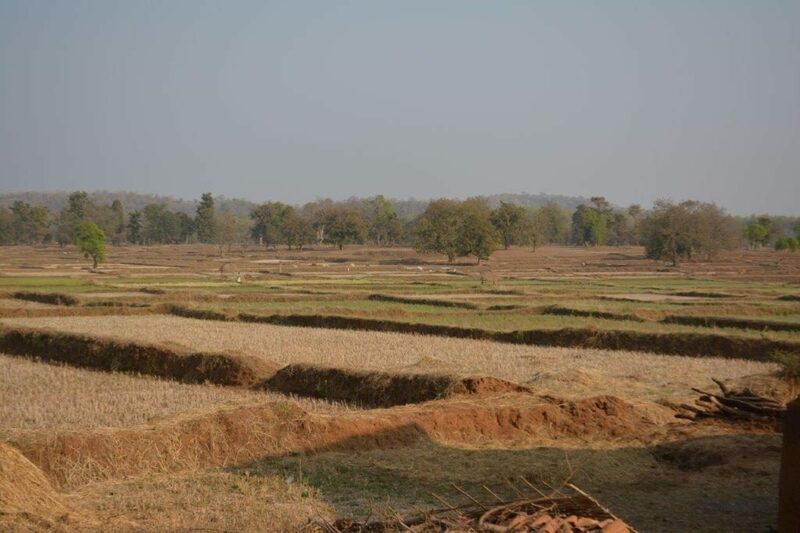 When we were visiting Kanha reserve the park was closed for half a day each week, so on our free afternoon, we decide to take up the offer of touring a couple of local villages. 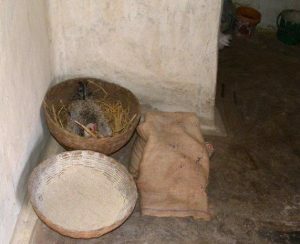 It turned out to be a truly fascinating experience and we felt privileged and grateful to have been allowed a glimpse into local people’s homes and lives. 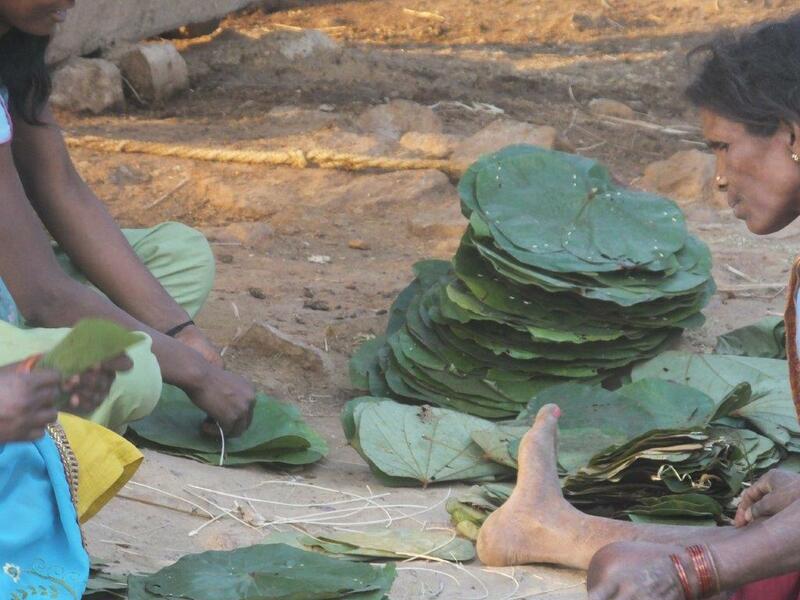 There are two tribes that live just outside the park, the Baiga and the Gonds, and we were fortunate enough to tour both their villages. These tribes have lived side by side for generations, and relations between them are very good, but they lead completely separate lives. In the tour of the Baiga village we were shown the local school, which had finished for the day, the inside of one of their houses and their traditional dress and drum. 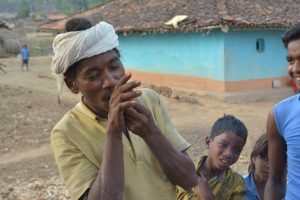 A demonstration of the creation and smoking of a local cigarette was also provided. 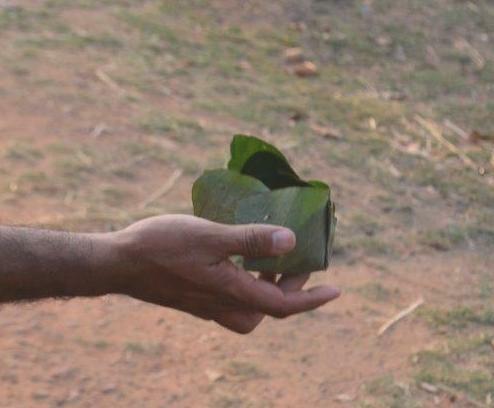 This consisted of a leaf from the forest that was rolled to create the casing which was then filled with leaf fragments. It was then lit by a spark from a flint. We didn’t try it! The drive through the village revealed the fields enclosed by mud banks to capture the rain, which is very seasonal. 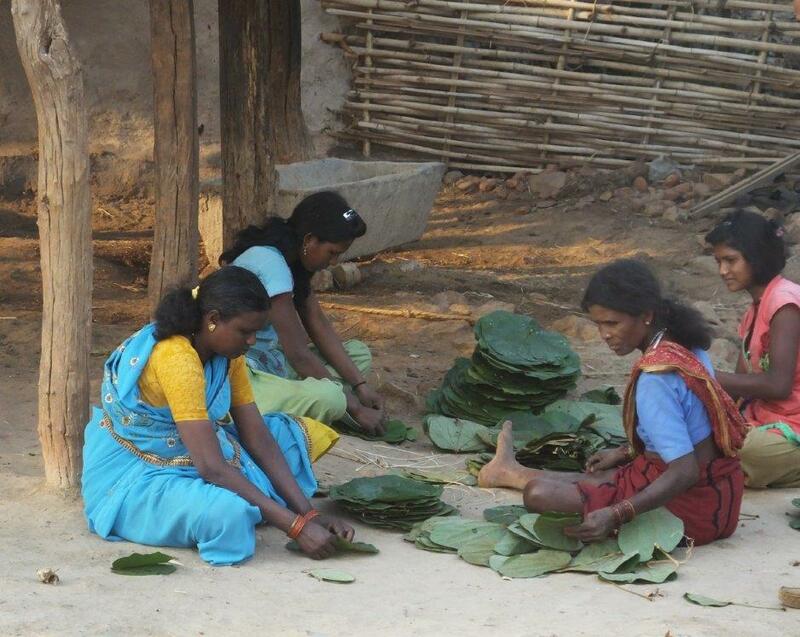 A little further on we witnessed a group of women making plates, from leaves, to sell at the market for a few rupees. It was really good to see that this eco-friendly solution for disposable plates was in place and polystyrene had not caught on. 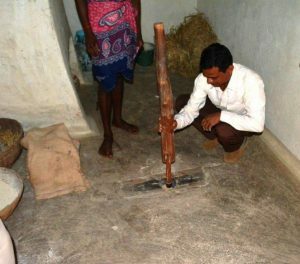 Another fascinating part of the tour, in the Gonds village, was a visit to the local distillery house! We were shown the full process for brewing and then distilling a strong spirit. The initial ingredient is a local flower that is fermented to create a “wine” which is then distilled. The distillery was very simple but obviously effective. 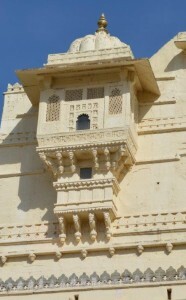 It consisted of two pots one on top of the other (see photograph). The lower pot contains the “wine” and the upper pot is full of cold water. As the alcohol evaporates from the lower pot it meets the cold upper container and condensed and runs down the side and out of a spout. The strength of the spirit was checked by dipping a taper into the distilled liquid and then setting it alight. How well it burned and the colour of the flame let the distiller judge the “quality”! We enquired about the price and were told a litre would cost 40 rupees about 50 pence. Quite a lot cheaper than Scotch whisky and a lot stronger! We requested a taste but it never materialised. I think they felt our constitutions were too delicate. You might want to check local laws before following these instructions and trying this for yourself. What a fascinating afternoon we experienced. 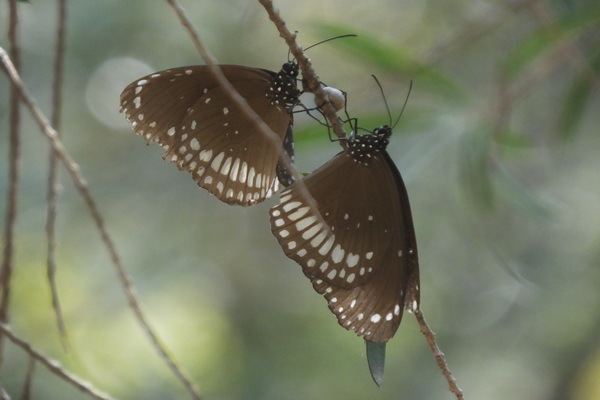 We had been thinking that we might have wasted time as the Tiger reserve was closed but instead we enjoyed a true highlight of our trip to India. 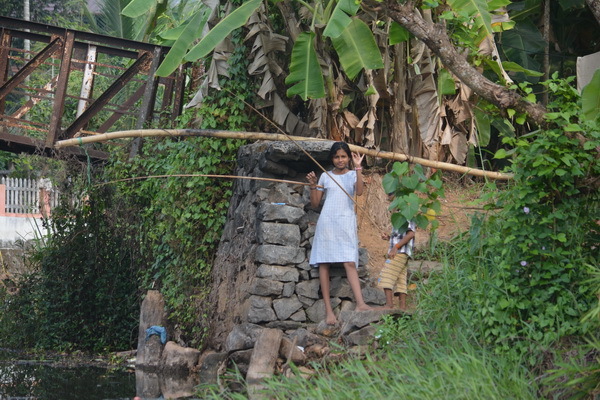 The villagers were extremely welcoming and generous, allowing us to visit their homes and walk through their villages. 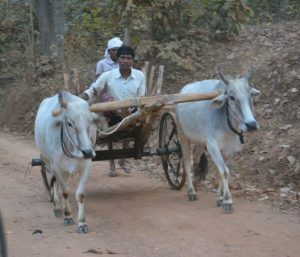 Many of the villagers had jobs associated with the tiger reserve but maintained their small holdings and village life. One thing that did strike me was, that a generation or two ago, many farming people in the UK would have been living very similar lives. A lot of the buildings would not look out of place in a folk museum like St Fagans in Wales and we were fortunate enough to see them with vibrant village life around them. A group of us are visiting India again soon and have put together the itinerary shown here. 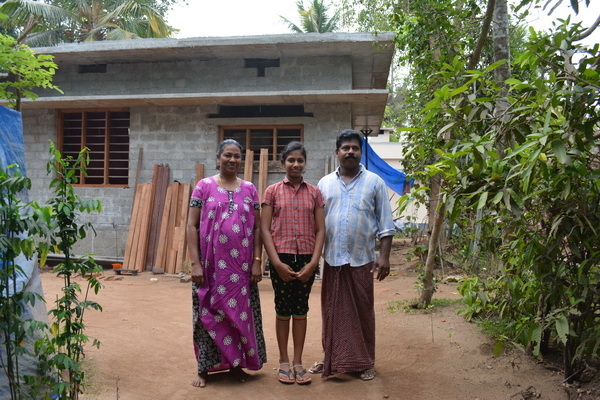 Again we have included a good amount of time in rural areas but this time in Kerala South India. Follow this site if you want to see how we get on. I am very pleased to be able to say that I will be travelling to India in the near future and will spend a month there in total. I have put a considerable time planning the trip and have tried to utilise my experience of previous visits, and the advice of my Indian friends, to get the most from our time in India. In this blog, I describe the thinking behind the itinerary and share details of where we will be going. I will provide updates as we progress and, at the end of our tour, I will modify the schedule, based on our experiences, and put together a new recommendation for a trip. 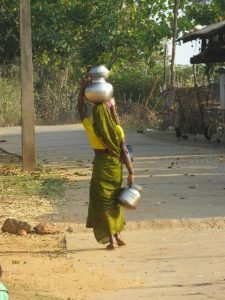 I am fortunate enough to have travelled to India a few times and, I have to say, I love the country. I enjoy it’s diversity and want this holiday to take advantage of the wide range of experiences on offer. I, and the others visiting with me, enjoy Indian wildlife, it’s fascinating history, the great food as well as rural India. Also, we are keen, wherever possible, to get away from westernised hotels and get closer to real India. In planning this trip, I have tried to create variety throughout the tour so, for example, spending some time enjoying India’s historic places interspersed with visits to National wildlife parks. We will also be staying in a range of accommodation from wildlife lodges, modern hotels through to Indian homestays (guest houses). Our trip consists of two main parts. We will spend roughly a week in Northern India and, for this part of the journey, I am joined by my son and daughter, who will be on their first trip to the country. The second part of our tour is for three weeks and in South India, mostly Kerala, and involves a smaller group of four of us. Our plans for the North have to try and cram a lot into the six days as my son and daughter are short of holiday, but want to get a feel for the country. We will spend a couple of days in Delhi which has a lot to offer from a historical point of view but also for that vital shopping. 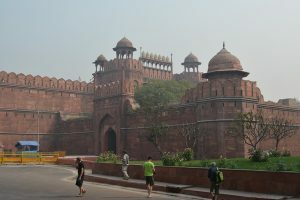 This will be followed by a trip to Agra to let the first time visitors enjoy the Taj Mahal and also Agra fort. We also can’t let their first visit to India be without a visit to one of the great tiger reserves so we are going to spend three nights in Corbett national park (named after the British hunter turned conservationist). This park has a great range of wildlife including a large tiger population and also elephants and is famous for it’s bird life as well. 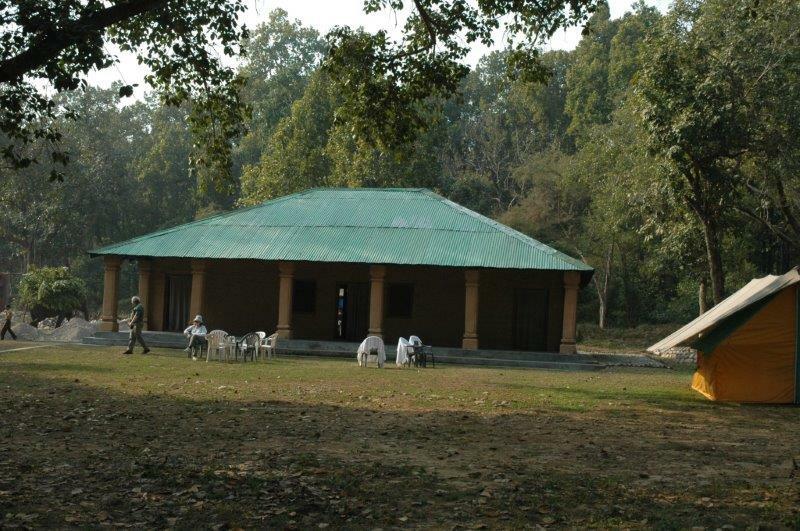 Another feature of Corbett Park is that it is possible to stay in government lodges within the park itself. 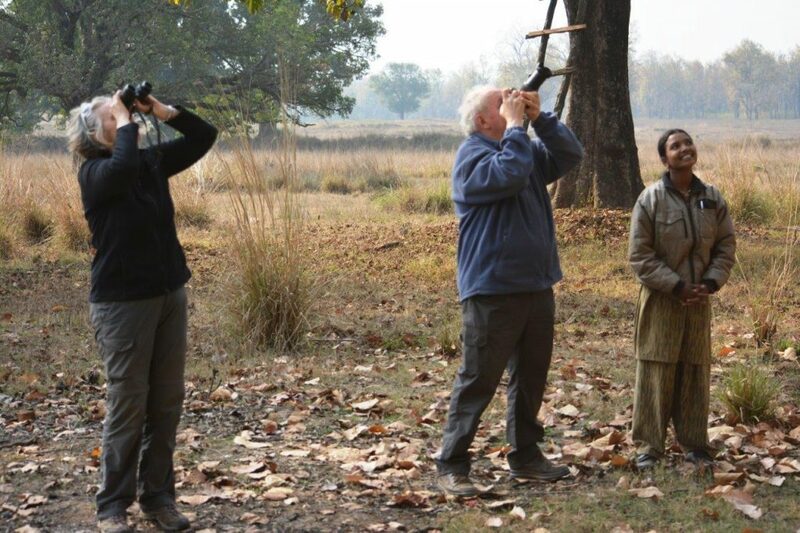 This is very unusual in India and will present us with the opportunity of viewing wildlife from the lodge and also experiencing the sounds of wild India at night. It should be a great experience. For the southern India part of the trip we will be exploring historical places that relate to the early contact between Europeans and India. 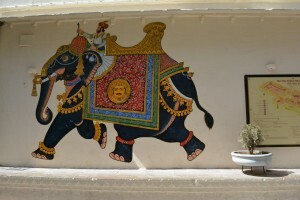 We will be visiting Mysore and the Tipu Sultan’s palace. The Tipu Sultan fought very effectively against the British East Indian Company and his wonderful palace is said to be fantastic. We will also visit Cochin (Kochi) which was an early Portuguese settlement and a key port for the spice trade. 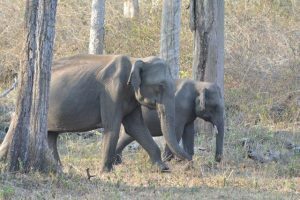 Our South India tour includes three wildlife reserves: Nagerhole, Bandapur and Periyar but we will be spending time in other places between each park. Shortly after arriving in the South we are staying at the first of the three homestays we will be visiting. 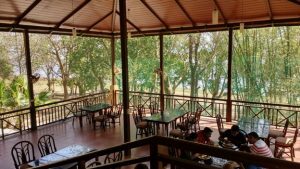 It is a beach stay on the North Kerala coast just outside Thalassery which is a vibrant fishing port and market town that had British links in colonial times. 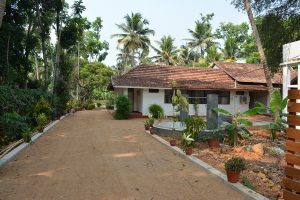 Homestays are guest houses with a small number of rooms with the hosts providing all meals during the day and guidance on how to enjoy the local area. 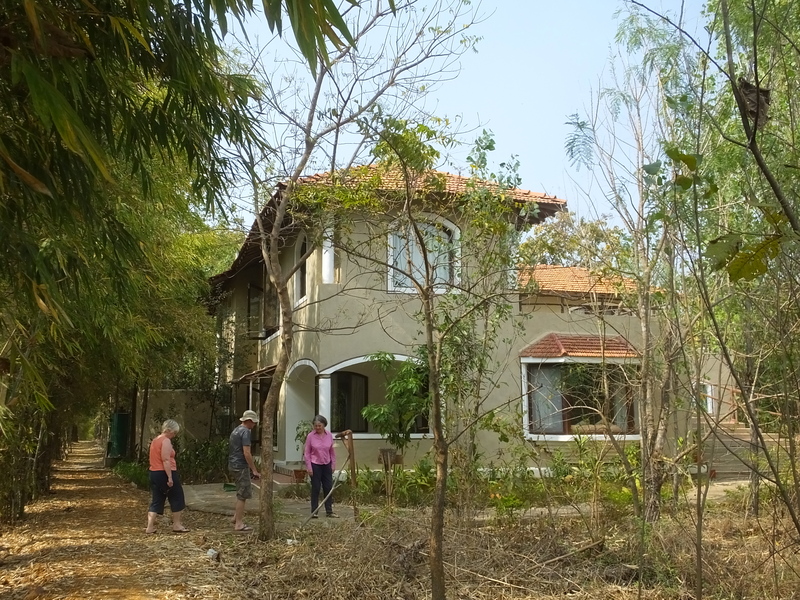 Whilst Indian hotels tend to be of a very high standard they can be a bit westernised so we very much hope the homestays will give us more of an Indian experience. 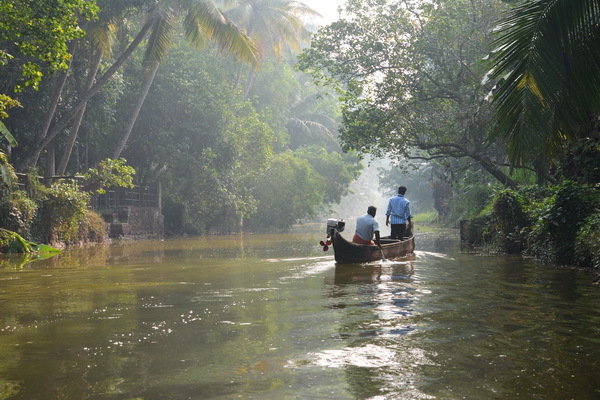 Kerala also promises many other interesting experiences that we plan to enjoy. 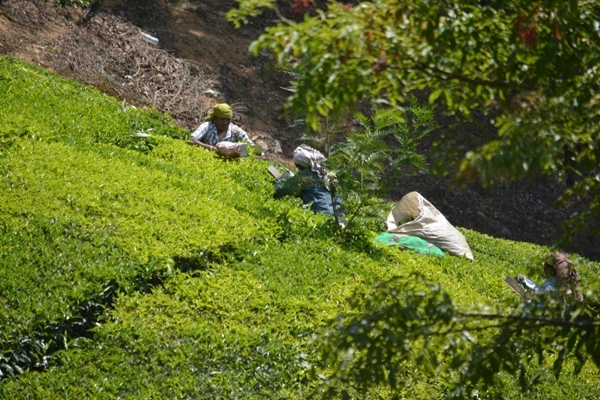 We will be stopping at a hill station with numerous tea plantations. 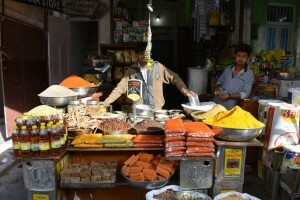 We will also be exploring the spices of India and joining in a spice tour. At the end of our trip we plan to spend approximately a week in the Kochi area relaxing before flying home from the city’s airport. 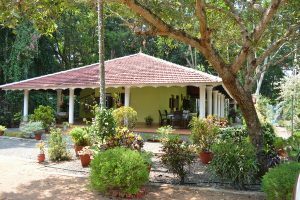 We have chosen two different homestays in this area which will allow us to enjoy trips on the waterways and also travel into the historic town of Kochi. The waterways are said to be very beautiful with the ability to tour the many villages in the area and to view traditional farming and fishing methods. 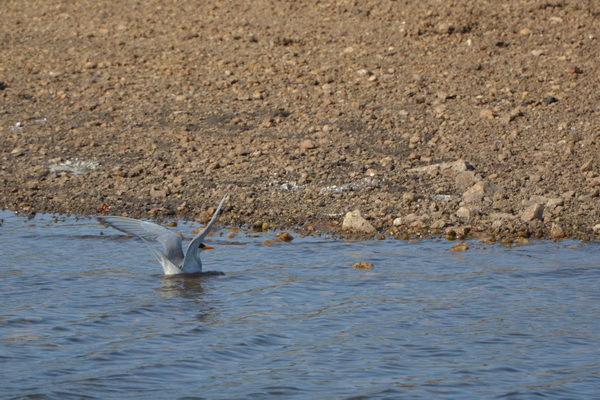 The waterways are also said to be a bird watchers paradise. All my previous holidays in India have been in the North or Central India so I am really looking forward to exploring Kerala. If you are interested to know how we get on follow my updates on this site by adding your email address. It is very easy to unsubscribe. I love wildlife, and wild places, and have visited many of the great African national parks. In 2016 I visited three Indian Tiger parks and had a wonderful time. The parks, and the way of viewing the wildlife, is quite different from Africa though so I have decided to share some notes on how to get the most from your time in Indian parks. A group of eight of us are returning to India in 2017 and so the notes are there partly to ensure we are thoroughly prepared for our trip. Game drives generally happen twice in the day and the exact timing changes through the year. The first drive enters the park at dawn (between 5.30 and 6.30 am) and leaves four to five hours later. The second drive will enter the park at mid-afternoon and leave at sunset and is typically a three hour drive. You will be returned to your lodge for lunch and a rest between drives. A packed breakfast will be provided, at a suitable stopping point, during the morning drive. Most parks will be closed for at least half a day per week so at these times no visitors enter the park. The park authorities are very strict about timings and drivers will be fined or banned from the park if they are late leaving. For this reason, please respect your driver’s need to get to the gates on time. The number of vehicles allowed in the park, and in any zone, at any time, is very strictly controlled. So your driver will have limitations on where they can go on any particular drive. A good tour operator will ensure you get to see all the zones but will focus on the most productive ones for that year. To enter the park, if you are a foreign national, you need to have your passport with you so the driver can take this to the park officials at the entry gate. The passports are used to verify that the booking is correct and is for the right people. Some parks also have a camera charge so you will need to give this to your driver so he can pay the authorities before each drive. A receipt should be provided for these payments. The most commonly used vehicle is the Gypsy, an Indian built small jeep, which can seat eight people in total. It is open-topped and excellent for viewing and photographing wildlife. Although it does not feel very big when a large tiger approaches! Each vehicle will have its own driver who will take you to the gate where a guide will be allocated to you, at random, for that particular drive. 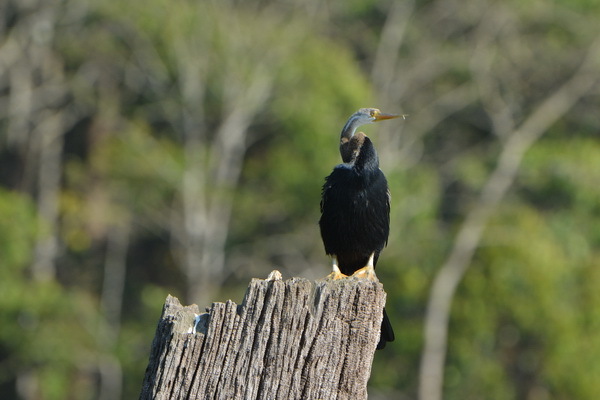 Occasionally, the lodge will also provide you with a naturalist who will provide further information during your tour. As, typically, there will only be four visitors in the Gypsy it can feel as if there are a lot of staff for each drive. I believe it is deliberate policy of the park authorities to create a lot of direct employment of locals and, in my view, is a very shrewd measure. By contributing so much to the economic well being of the locals the parks are greatly valued by the local communities which in turn leads to better protection of the animals as poachers are unable to operate without the knowledge of the people who live nearby. Your driver’s job is, strictly, to just drive the vehicle with the guide doing the wildlife spotting, but we found the driver was at least as good as the guide at finding wildlife. (Remember he spends his whole life driving in the park.) The driver is generally provided by the lodge, whereas the guide is provided by the park, so it is a good idea to ask for the same driver for the whole of your stay. By doing this, you can ensure that he knows what you want and also what you have seen. I, for example, enjoy travelling at a slow speed so that there is a chance of spotting all wildlife. By telling the driver this he can ensure that, for all your drives, you get what you want. It is worth withholding the tip until the end of your stay and be generous if he/ she has followed your requirements. For advice on tipping of your driver and guide see my blog on the subject. The Gypsy does not seem very big when a large tiger approaches. You will encounter a wide range of conditions on your drive and you need to be prepared for them all. As mentioned earlier, the vehicles are open so you are exposed to the elements. The temperature can vary widely from being very cold at dawn, in winter, to being very hot in the afternoon. For your dawn drive it is worth taking a good coat and, maybe a woolly hat and also accept the blankets the driver offers you. Once you start moving the apparent temperature will drop very quickly. The strength of the sun, as the day moves on, needs to be respected by ensuring you apply sun cream and have water and a good hat. Conditions can be very dusty and following other vehicles can be quite an unpleasant experience. Be prepared to ask your driver to hang back to reduce the impact but also come prepared. Ensure you have good sun glasses to protect your eyes but it is also a good idea to have clear glasses that you can wear in the low light conditions at dawn or dusk. Have a snood (a fabric tube you can wear around your neck or face) ready to protect your nose and mouth and filter out some of the dust. If you have expensive camera equipment ensure you have dust protection for this too. Many people use pouches that protect the cameras but it is also quick to get the camera into use when that tiger comes along. The Indian park guides and drivers tend to be completely obsessed with seeing tigers to the exclusion of almost everything else. The tiger is, undoubtedly, the most spectacular of sightings but your tour of the parks will be so much more rewarding if you take in everything else that it has to offer. 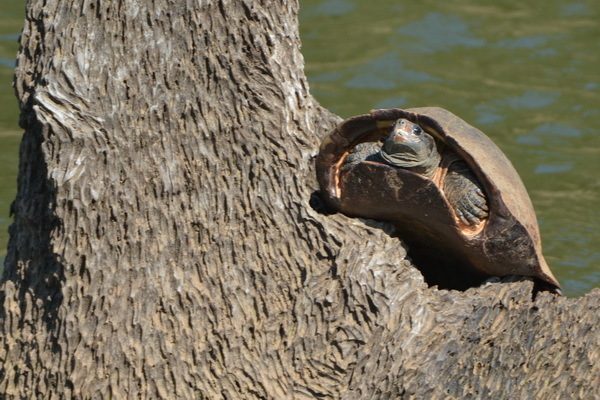 Ask your driver to travel slowly and stop at waterholes so that you have a chance of spotting the smaller wildlife and stop when you see something. It can be very interesting watching the bird life or a troop of lemurs, for example, and very often by focusing on the smaller things you will be rewarded by a big sighting! Be prepared to move away from the gaggle of other cars. Earlier this year in Bandhavgarh national park a large male tiger could be seen asleep in the long grass about 200 meters away. After about thirty minutes, we asked our driver to move on as the tiger was not moving and a very large group of vehicles had congregated around us. 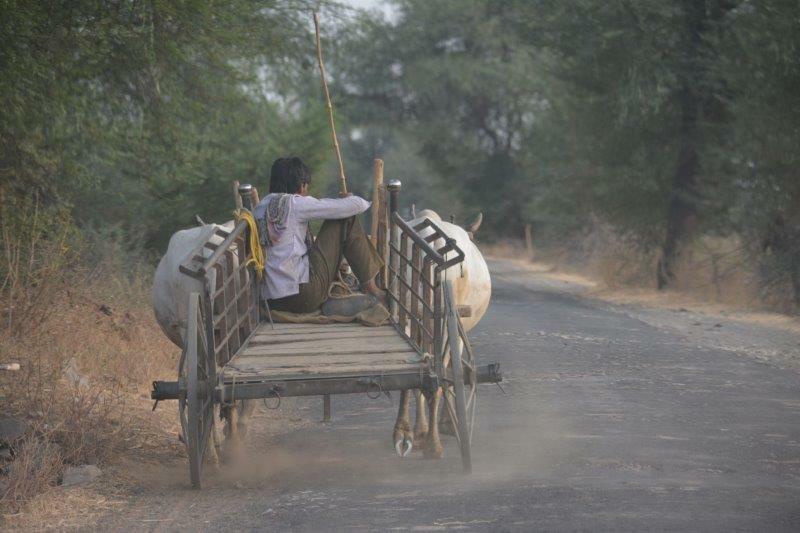 The driver and guide were reluctant to drive on but eventually did so. After driving for thirty minutes we spotted four tiger cubs on the edge of some woods. The mother was off hunting. We had the best part of an hour watching these young tigers, on our own, and we even witnessed the excitement when an Indian wild boar ventured a bit too close. 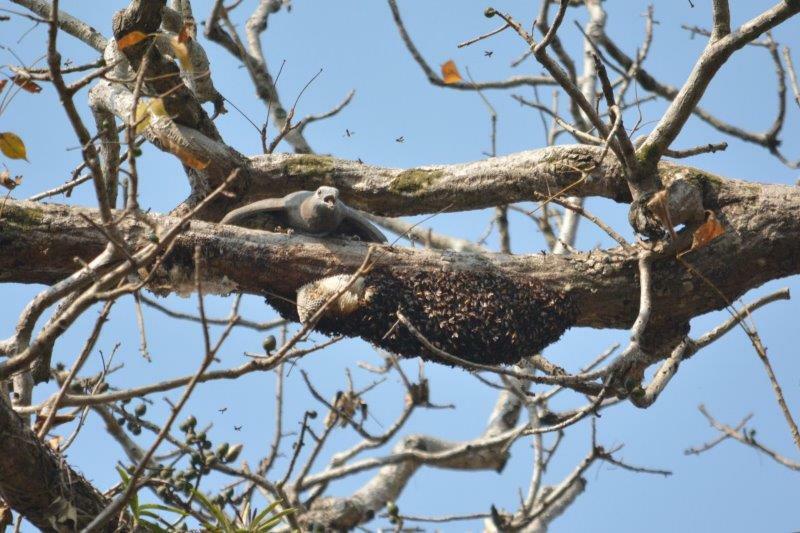 On another occasion we watched an oriental honey buzzard systematically consuming a bee’s nest. 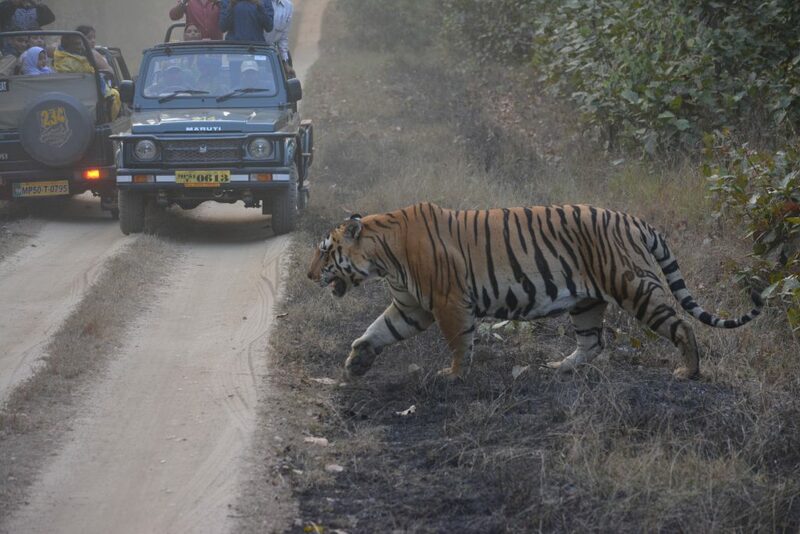 It was amazing to watch but everyone else was staring at the road waiting for a tiger to appear. As well as camera and video equipment a good pair of binoculars will really improve your game viewing as you can watch birds up close or looking into the bush to see animals in detail. 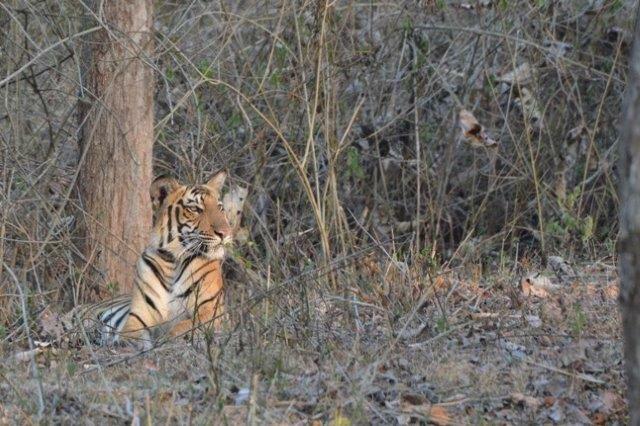 See my Bandhavgarh Tiger Park blog and my Kanha National Park Blog. Cash for tipping the guide (the driver can be tipped at the end) & for paying camera charges. If you are interested in visiting follow this link. Viktorianz.